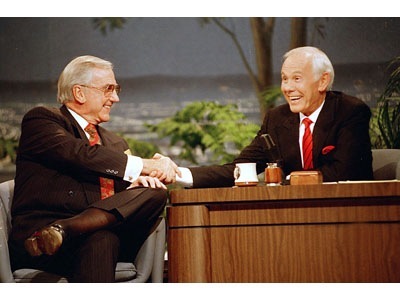 Ed McMahon passed away today at the age of 86. He had health issues for a number of years. Known as Johnny Carson’s sidekick on the Tonight Show, he also was the spokesperson for Publisher’s Clearing House, delivering giant checks to winners everywhere. But his most recent accomplishment are the rap commercials he did for FreeCreditReport.com. And as we wish you R.I.P. Ed McMahon, we enjoy your sense of humor.